Alexandra Patricia Steinwachs and James Francis Catlin III were married on May 23, 2015 at Vinewood Plantation in Newnan, Georgia. The bride is the daughter of Dr. Paul and Synthia Steinwachs. The groom is the son of Sharon Catlin and the late James Francis Catlin II. Reverend Don McKelvey officiated the ceremony. 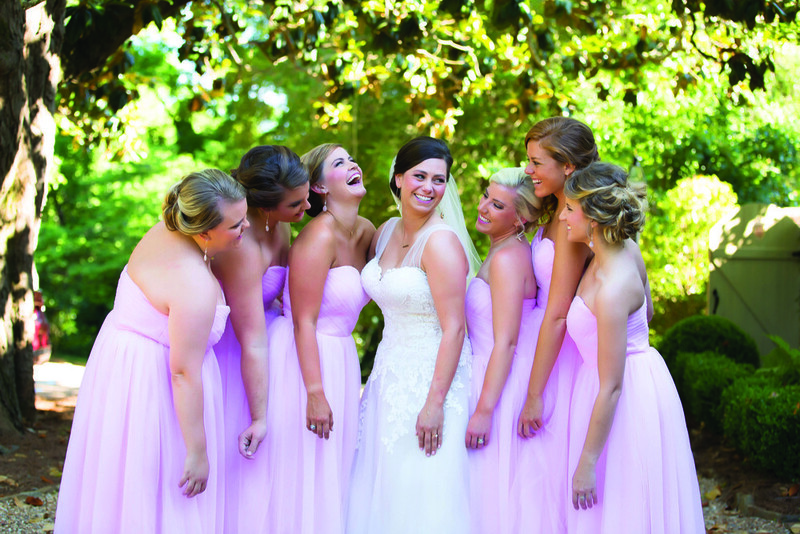 Blaire Willis served as matron of honor. The bridesmaids were: Molly Brubaker, Kathryn Bennett, Cathlina Olmsted, Charity Bedsole, and Alyssa McGlaun. The best man was Terry McGlaun. Jamie Hancock, Kasey Culverson, Alex Dupont, Brant Hamilton, and Casey Stanislawski served as the groomsmen. Elizabeth Hancock and Riley Summers were the flower girls and Brody Catlin served as ring bearer. After a reception at Vinewood Plantation, the couple honeymooned on a Caribbean cruise.